Thailand’s military government on Tuesday (July 11) approved 179 billion baht (S$7.2 billion) to build the first stretch of a high-speed railway that will ultimately link Bangkok to southern China, a massive joint infrastructure project with Beijing that has been dogged by delays. The military government Tuesday greenlit a plan to buy eight combat aircrafts from South Korea at the price of 8.8 billion baht for training purposes. The Bank of Thailand and the Monetary Authority of Singapore on Tuesday signed a FinTech Cooperation Agreement and updated a Memorandum of Understanding on Banking Supervision, according to their joint statement. China is considering an investment to link Thailand’s Eastern Economic Corridor (EEC) and Kunming’s special economic zone (SEZ) as the mainland looks to build a consolidated supply chain. State agencies doled out 74.2% of the budget for fiscal 2017 during the nine months to June, adding to signs that the disbursement target of 87% of the 2.73-trillion-baht budget will be achieved. Politicians from two major parties believe the National Strategy Bill adopted by the junta-appointed parliament on June 22 is a key element in ensuring the military junta will maintain control on major policies over elected governments for the next 20 years. SUPACHAI PANITCHPAKDI, former director general of the World Trade Organisation (WTO), has called for Asian free-trade negotiations under the so-called Regional Comprehensive Economic Partnership (RCEP) to be wrapped up by the end of the year – and strike a blow for global trade amid rising protectionism fuelled by isolationist US policies. Foreign Minister Don Pramudwinai says US President Donald Trump wants to meet Prime Minister Prayut Chan-o-cha, although the meeting date has yet to be set pending preparations from both sides. The Constitution Drafting Commission (CDC) has expressed confidence that the National Legislative Assembly (NLA) will pass its organic law on political parties after it amended the contentious portion on the primary vote system. 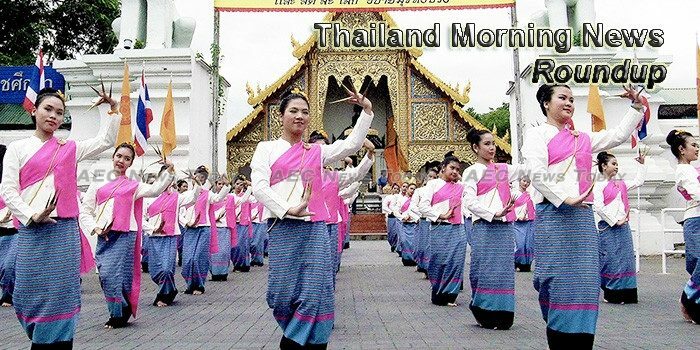 The Tourism Authority of Thailand (TAT) plans to log 3.1 trillion baht in tourism revenue in 2018 by attracting tourists from second-tier Chinese and European cities and focusing on tourist quality, says governor Yuthasak Supasorn. Thai Union, one of the world’s largest seafood conglomerates, said Tuesday it will overhaul its fishing practices to protect against labour abuses and unsustainable trawling, a move hailed by Greenpeace as “huge progress”. The purchasing power of major trade partners and production restructuring to keep up with demand are having larger effects on exports than the baht’s movement, says a senior official at the Bank of Thailand. The Board of Investment of Thailand has confirmed the private sector has been investing more to prepare for the government’s Thailand 4.0 goal. Deputy Bangkok Governor Chakkraphan Phiew-ngarm on Sunday led concerned city officials to inspect a land plot of the Treasury Department in Soi Charoen Nakorn 7 which was designated as the construction site of Bangkok Observation Tower. Bangkok is the best city in Asia to launch a startup and No 7 in the world, according to a new survey by PeoplePerHour that took into account the cost of living, rent, monthly salary and general ease or difficulty of starting a new business. The Customs Department has ordered more stringent examinations of oil tanker trucks at the Thai-Lao border after an operator was found attempting to export diesel to Laos instead of benzene as declared. The Government Housing Bank (GHB) has organized a contest to design homes for the elderly to encourage students to design practical homes for that purpose, with prizes consisting of academic scholarships.